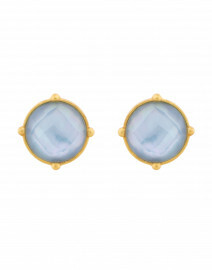 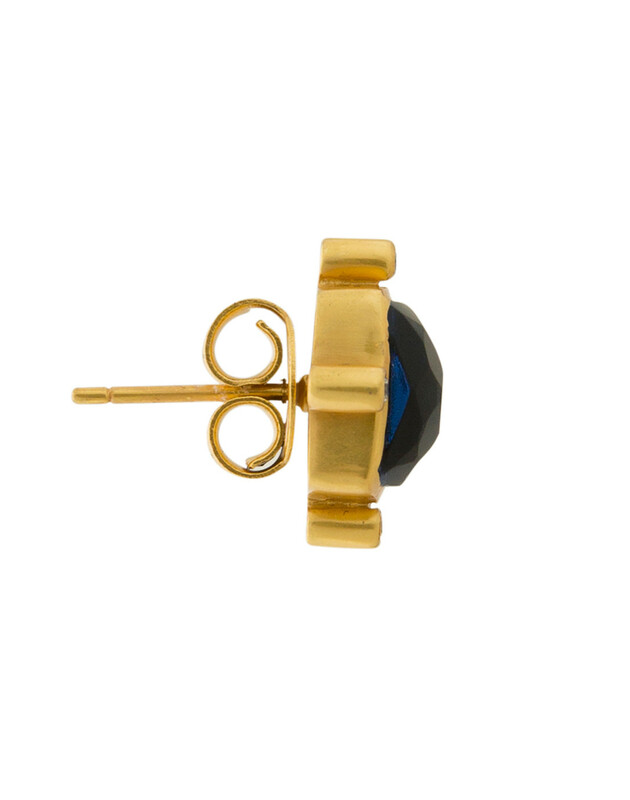 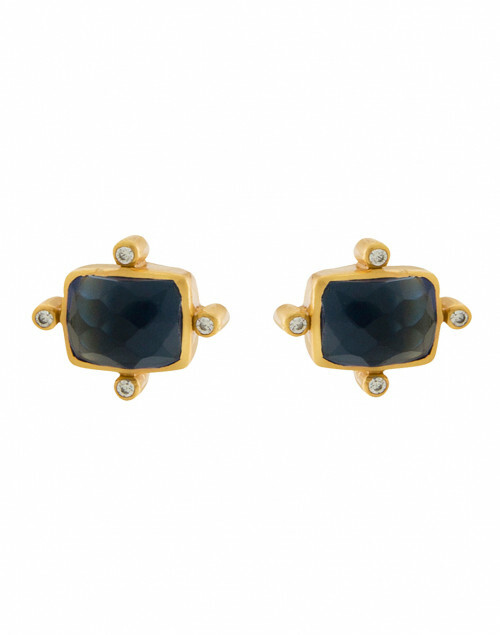 Striking and simple, these sapphire gold stud earrings designed by Julie Vos offer bold sophistication to any look. 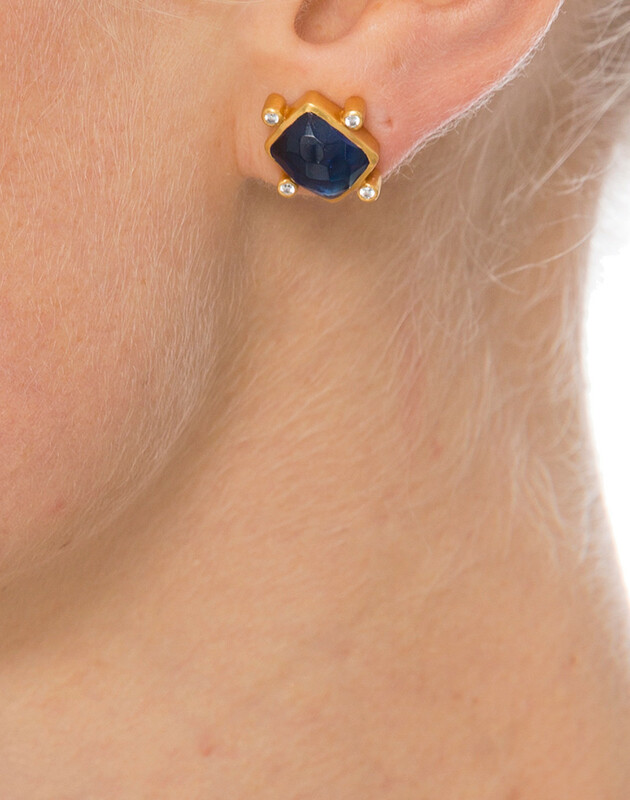 These unique square-framed sapphire stones are adorned with dainty zircon gem accents and embedded in a 24 karat gold plated brass setting. 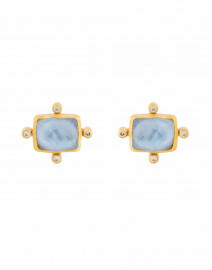 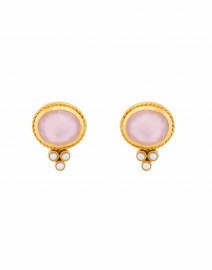 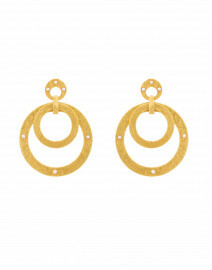 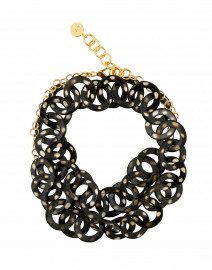 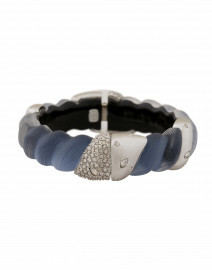 These earrings add a glimmer of glamour when paired with a sharp blazer.